Yeah, I finally went ahead and changed the whole way I calculate my shot-progress reports. Previously it was just a straight count of shots in the episode calculated againt the shots I had animated. Which, while it seems simple enough, actually makes for a very skewed view of things. The reason i simple. Not all shots need flash-animation. 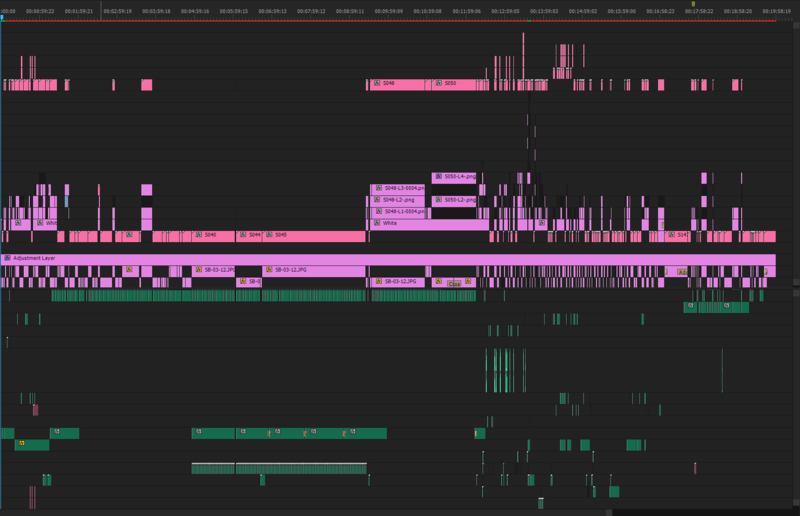 So I sat down today and went through each and every shot in the premiere time-line and documented wether it needed flash-animation or not. And then also noted if those shots were done. This also brought on a side-effect of my progress seemingly jumping from 48% to 64% in a single day when at most I usually can knock of maybe a single fraction of a percent per day. Well, that’s the reason for the jump. The total number of shots today went down from 172 to 133 simply because I filtered out all those that won’t need the flash-treatment.